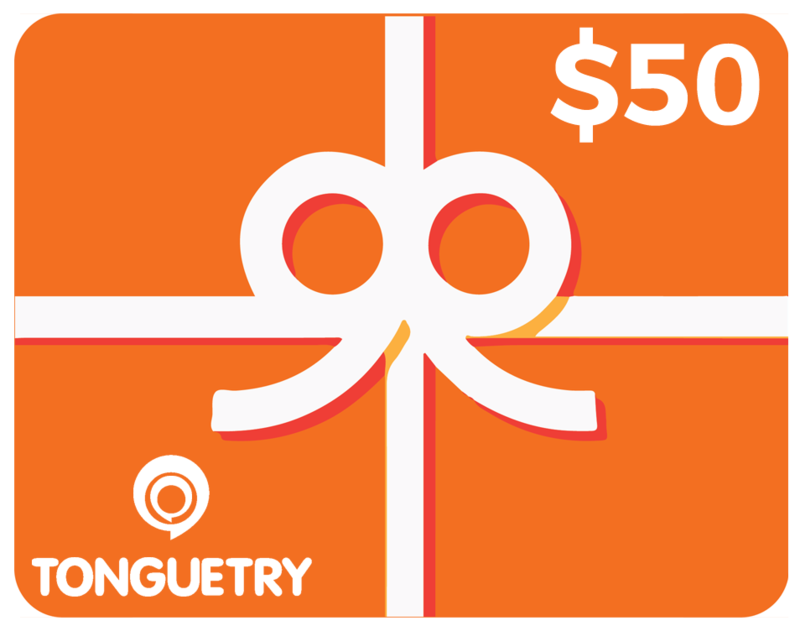 Give the Gift of Spanish + Impact with one or more of our Gift Cards! Pat yourself on the back - this gift is genius. Not only are you giving the gift of Spanish, but also allowing the recipient to change a life. Double Impact! Even more so, the impact will also impact the families and communities our tutors work in, Quadruple Impact! So Kudos to you - you're a great gift giver!! What's YOUR two-fold Impact with this $25* gift certificate? For the student: Flexibility. They can use it for 50 minute or 25 Minute Sessions to do things like ... prep for the big test, tune up before their mission trip, impress their mates, etc. For the tutor: More than a full days wage for the typical tutor in Guatemala. What's YOUR two-fold Impact with this $50* gift certificate? For the student: More sessions to do things like ... learn enough to order at your favorite Mexican restaurant, quickly refresh those 3 years of Spanish they've almost lost, and of course ... impress their mates. For the tutor: More than double a full days wage for the typical tutor in Guatemala. What's YOUR two-fold Impact with this $100* gift certificate? For the student: More sessions to do things like ... visit the magical Cenotes in Mexico and sound like a local ... ok ... not really, but definitely as a respectful American. Or ask for directions from a Spanish speaker in Spanish, or rediscover their passion for the Spanish language, and as always ... impress their mates. For the tutor: More than quadruple a full days wage for the typical tutor in Guatemala! *The amount of the certificate does not ever lose it's value. For example, if the certificate is for $100 and the recipient wants to take 3 - 50 minute sessions and 2 - 25 minute sessions, the total would equal $105.00. They would only pay the balance of $5.00 when they schedule that final 30 minute session. There are no returns, much like store credit at a retailer. You must use the amount of the gift certificate through our website. Want to spend your Gift Card? Click here to go to book your appointment. Make sure to have your email address or code readily available to apply to your sessions.